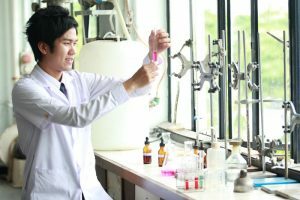 In 2006, Rajamangala Institute was renamed Rajamangala University of Technology Thanyaburi, and the Faculty of Science was changed to the Faculty of Science and Technology in accordance with the Act of Rajamangala University of Technology Thanyaburi. The Faculty of Science and Technology would like to express their utmost gratitude to His Majesty the King for his benevolence in graciously granting the name of the Golden Jubilee Hall on the auspicious occasion of his Majesty the King’s 6th Cycle Birthday Anniversary. His Majesty the King also graciously conferred his special portrait to be used to decorate the Golden Jubilee Hall on the auspicious occasion of His Majesty the King’s 6th Cycle Birthday Anniversary. This was the ultimate honor for all lecturers, staff, and students. 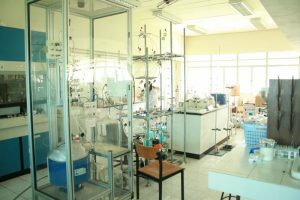 The Faculty of Science and Technology has strived to develop the nation’s education, through the quality of the faculty’s education, research, and teaching at tertiary level, in order to produce skilled graduates. Moreover, the Faculty aims to integrate local knowledge with more advanced innovation, and conduct research to meet the needs of the community and the nation. Upon graduation, graduates from the Faculty of Science and Technology may pursue careers as a researcher, data analyst, systems planning analyst, quality assurance officer, banker, mathematician, statistician, economist, and production process controller. Graduates may also pursue careers as a computer scientist, professor, programmer, network and systems analyst, network administrator, database administrator, software project coordinator, website developer, computer game developer, and animator, among other careers.